Wiideman Consulting Group has worked with Xivic since 2011, initially to provide additional training in paid search. We hit it off immediately and worked together ever since, with projects ranging from audits and strategy to full-blown paid and natural search campaigns. Xivic was growing and growing fast at that. They needed amazing talent and had no desire to train rookies. We joined the Xivic family and hired several skilled specialists in location-based search, paid search (PPC) and content optimization. These resources worked out of a Xivic office next to ours here in La Mirada, CA for the first year and eventually moved to corporate headquarters in West Hollywood, CA. The first year alone, the new team members helped Xivic win prominent industry recognition, getting the client ranked in a top survey for “best local online marketing”. Since Xivic incorporated our SEO Roadmap process, workflow has never been more streamlined. Strategists and team members have structured checklists, prioritized by importance, and sortable by effort level. Xivic now produces identical SEO Strategic Plans as we do, and has the resources to help execute at each level: technical, visibility, and contextual search. They are seasoned in PPC advertising with several “gurus” behind the helm of a robust AdWords Client Center (MCC) managing millions of dollars of ad spend each month. Account progress and performance is viewed by the leadership team daily, giving early alerts to shifts in ranking, traffic or conversions, while also offering visibility to the timelines of each project being worked on at any given moment. 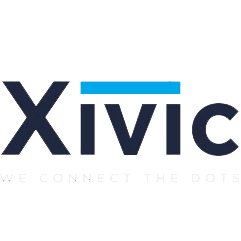 Through the years, Xivic has fine-tuned and mastered the art of franchise and multi-location search marketing, winning awards and playing close attention to trends and changes in the local SEO industry. As a member of the Local Search Association and having representatives at key conferences and events, nobody is in tune to franchise marketing as Xivic.